It was 1767, and a spiritual renewal movement—the Great Awakening—was sweeping through the colonies. Back then, Christians would gather in what they called “Great Meetings.” These were lively events. Hundreds of people from all over might spend several days hearing a string of stirring speakers. Out of this revival movement came a new denomination which took its name from Otterbein’s words: United Brethren in Christ. Boehm and Otterbein became our first two bishops. They were very different. Boehm was short, Otterbein tall. 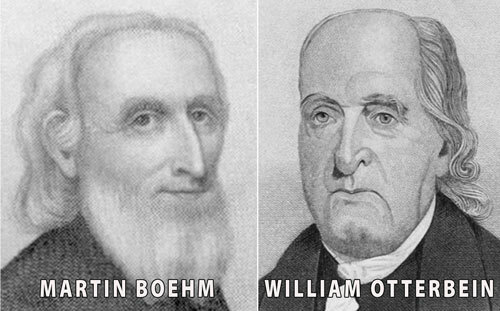 Boehm, a farmer, was described as “plain in dress and manners.” Otterbein, from a long line of distinguished ministers, was cultured and well-educated. Boehm lacked confidence in his speaking ability. Otterbein exuded confidence. Otterbein commanded attention, while Boehm could easily shrink into the background. Otterbein and Boehm realized that, despite their many differences—in theology, background, education, personality, and even stature—they agreed on the basics of the faith. These were the perfect guys to head a new church which united diverse people from many backgrounds around the Christian essentials. When Did the United Brethren People Become a Denomination? We start the clock there in Long’s Barn, 1767. But it was a loose, unorganized movement for many years. Adopted a name: Church of the United Brethren in Christ. Elected Boehm and Otterbein as bishops. Both men, at the time, were in their mid-70s. The United Brethren church was the first denomination to actually begin in the United States. Other denominations existed at the time (Lutheran, Reformed, Mennonite, and others), but they were transplants from Europe. The United Brethren Church was truly Made in America. Back in 1789, Otterbein wrote a “Confession of Faith” which outlined the basic doctrines to be followed. A similar Confession of Faith was officially adopted in 1815, and has not been changed since 1841. Today, it’s the basic document which unites all United Brethren around the world. Also in 1841, we adopted a Constitution. It’s been changed a number of times over the years, and is now the constitution for the United States National Conference. Each conference has its own constitution. The church spread west, into Ohio and Indiana. 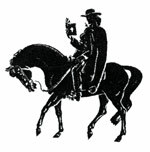 Circuit-riding preachers, on horseback, carried the Gospel from community to community, organizing churches and doing whatever they could to tell people about Christ. Many of them were farmers who traveled around preaching in their spare time, sometimes supervising a circuit of up to 30 churches. Without pay. A preacher would travel for hours over rugged terrain on horseback getting to just one meeting (not quite like hopping in the car and driving across town). Very dedicated folks. Back then, UB churches chose a “lay leader” to be in charge of the church between the preacher’s visits. The day the preacher came was always special and eagerly-awaited. Big crowds would gather for the service, and many people might commit their lives to Christ. As time passed, preachers were encouraged to do what they do fulltime. The 1815 Discipline (our “operations manual”) set the annual salary for preachers at $80 for single ministers, $160 for married ones. They got a raise in 1837 (22 years later) to $100 and $200, and to $125 and $250 in 1853. How’s that for inflation? Ministers barely scraped by, usually by farming or doing other things on the side. But the church grew rapidly under their tireless, dedicated leadership. Most pastoral preparation occurred on-the-job. When you expressed interest in becoming a minister, you were promptly given a church—or more likely, a whole circuit of churches. No classes on sermon preparation or theology. During the first 60 years or so, only a couple bishops had any college training. In fact, people with college education were viewed with suspicion, because they might rely more on their learning than on God. But in the 1800s, we started a bunch of colleges. Unlike most other colleges at the time, all of our colleges admitted women. And Otterbein College in Ohio did something unheard of: opened its doors to blacks. The college president’s home was a station on the Underground Railroad, which helped slaves escape. In 1853, a mission agency was organized under the cumbersome name “Home, Frontier, and Foreign Missionary Society.” That year, we launched our first missionary venture. A wagon train of UB people journeyed from Iowa to Oregon, where they intended to start United Brethren churches. There were 38 oxen-pulled wagons, 98 persons, and 300 head of cattle on the Oregon Trail. The trip took five months. Quite a missionary venture! The movement had now spread from coast to coast. In 1855, we expanded overseas, starting churches in Sierra Leone, West Africa. Bishop Milton Wright, with his two famous sons. By 1889, the United Brethren church had grown to over 200,000 members. We had six bishops, plus a full-blown denominational bureaucracy. But trouble was brewing. The controversy centered around the desire to make three changes in the Constitution. However, the amendment procedure spelled out in the Constitution made it almost impossible to change the Constitution. Not to be deterred, the denominational leaders decided to just ignore the Constitution and make the changes anyway. They essentially adopted a new Constitution—and more significantly, a new Confession of Faith—in an unconstitutional way. Only one of the six bishops opposed these changes. His name was Milton Wright. He, by the way, had two sons named Wilbur and Orville, who invented this thing called the airplane. Wright led our group—maybe only 10,000 people, maybe 15,000, something like that—away from the larger body. Wright’s followers stuck to the original Constitution and Confession of Faith. But beyond that, they were very much starting over. They had no headquarters, no colleges, no publishing house. Most of the congregations which sided with Wright lost their property to the larger group, which most courts recognized as the legitimate owner of all church property. 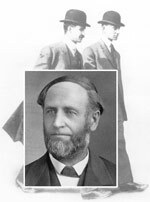 Under Bishop Wright’s capable leadership, these churches reorganized. The United Brethren church of today is descended from them. For a while, two denominations used the name “Church of the United Brethren in Christ.” Our group was known as the “Radicals,” and the other group was known as the “Liberals.” The duplication ended in 1946, when the other United Brethren church merged with the Evangelical Association to form the Evangelical United Brethren Church. The EUBs merged into the Methodist Church in 1968 to form the United Methodist Church. In 1897, a denominational headquarters and a publishing house were established in Huntington, Ind. So was a denominational college: Huntington University. Throughout the 1900s, the United Brethren church continued developing and expanding. Much of the growth came overseas. Today, the United Brethren denomination consists of nearly 500 churches in 18 countries. Only about 40% of our churches are located in the United States. We have 10 “national conferences,” self-governing entities which include all of the UB churches in a single country: the United States, Canada, Honduras, Nicaragua, Sierra Leone, Jamaica, Hong Kong, Mexico, the Philippines, and Guatemala. They have all agreed to abide by the Confession of Faith, a set of Core Values, and an international Constitution. Leaders from these conferences gather every three years for a meeting called General Conference. In addition, we have mission districts in India, Haiti, Thailand, Macau, Costa Rica, El Salvador, Germany, Liberia, and China. These come under the supervision of a national conference. A small staff of about 12 people work at the national office in Huntington, Ind., located right next to Huntington University. Their role is to serve and be a resource to our churches as they develop healthy ministries. The staff include the bishop, directors for specific areas (Global Ministries, National Ministries, Finance, Communications), and various support personnel.